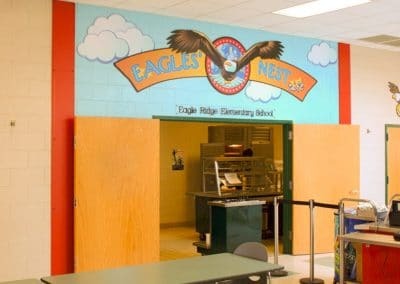 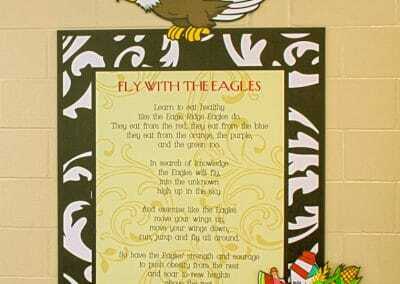 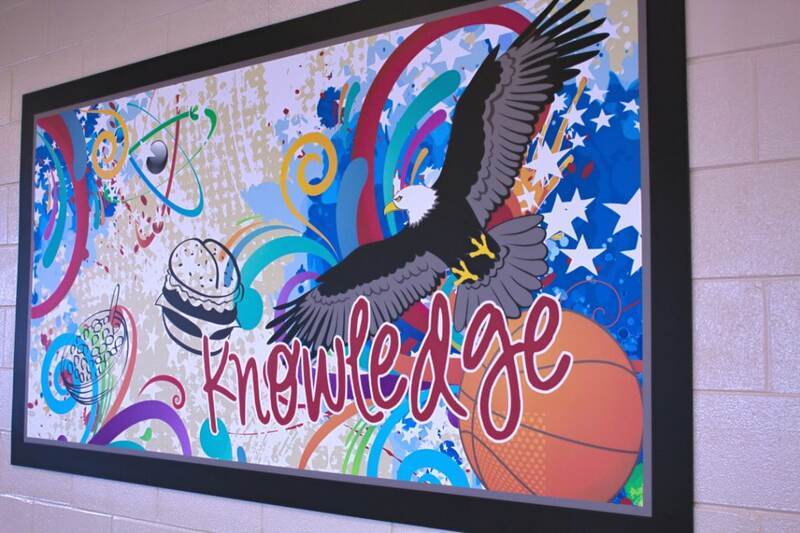 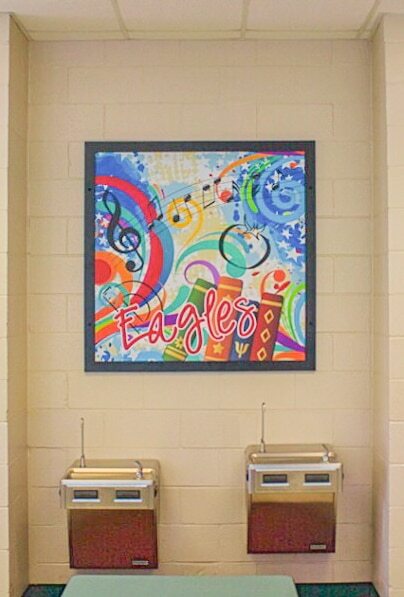 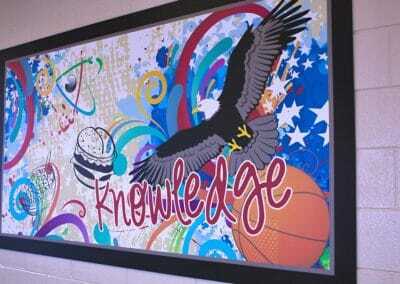 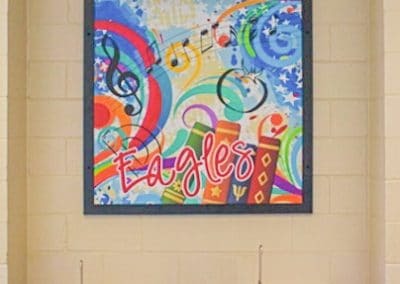 The Eagle Ridge Eagles will surely soar for a balanced meal and nutrition education at The Eagles Nest Cafe found in the heart of Eagle Ridge Elementary School. 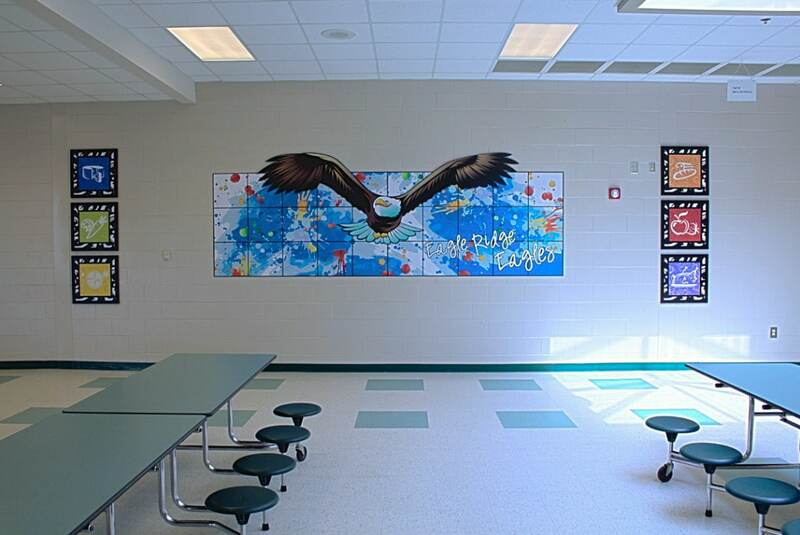 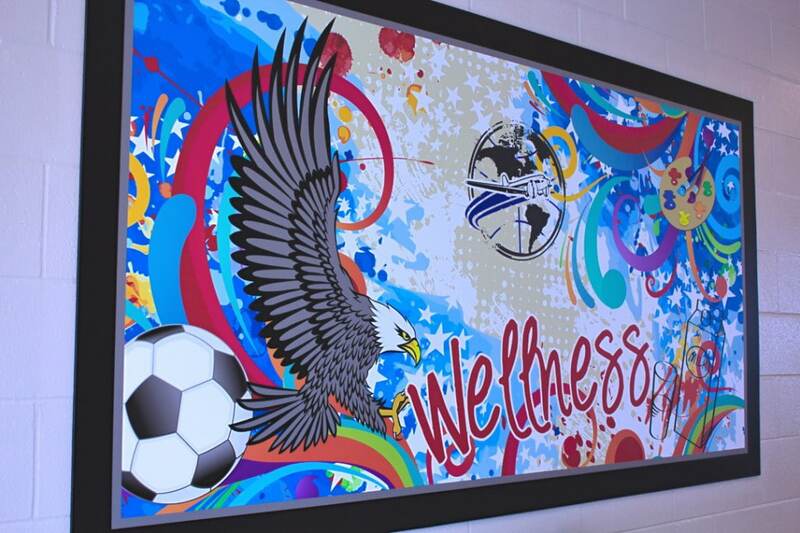 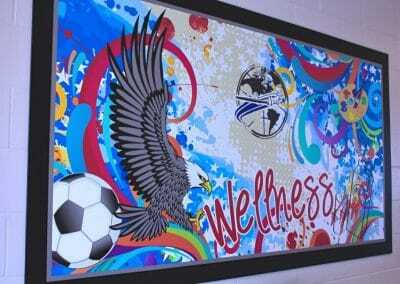 One will feel a sense of pride as the walls are classically draped with patriotic symbols and nutritious images. 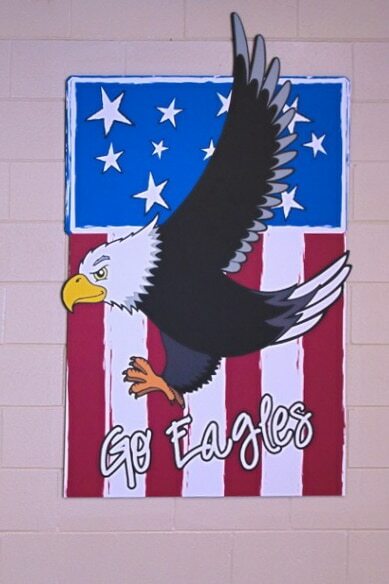 And the banner celebration will continue with a vibrant twist on the stars and stripes. 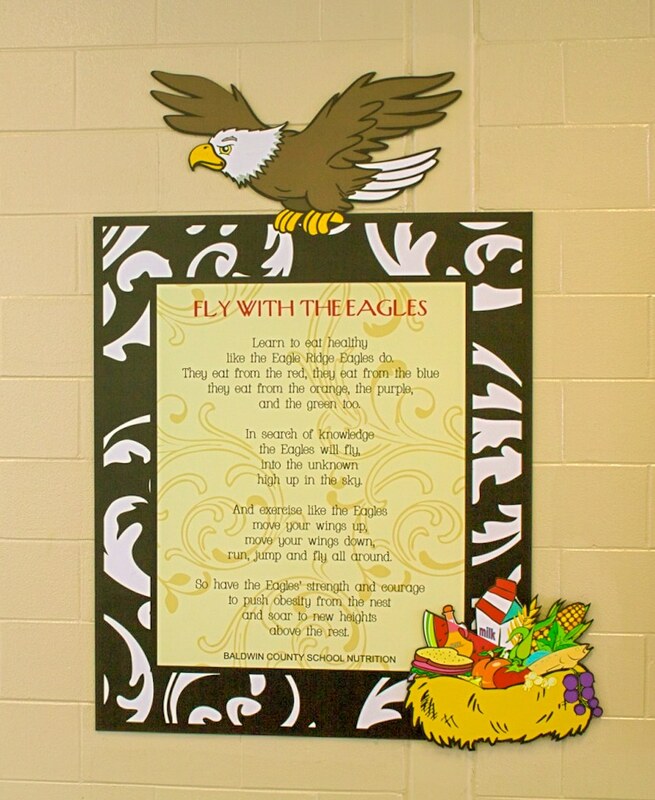 The reds, whites and blues will emphasize the true American spirit and give the Eagle Ridge Eagles encouragement to spread their wings and feel the freedom to pursue their dreams. 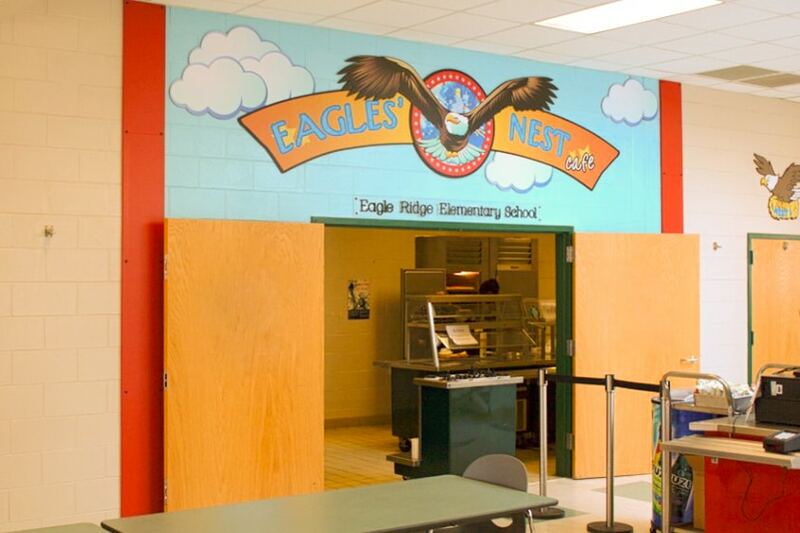 The Eagles Nest Cafe helps the Eagle Ridge Eagles to fly to new heights and provide a beautiful perch to enjoy their nutritious spread.